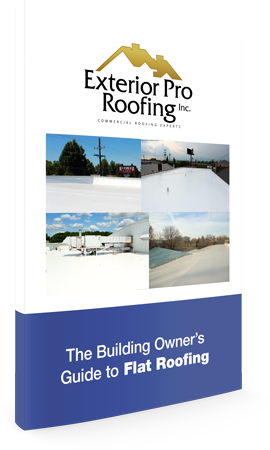 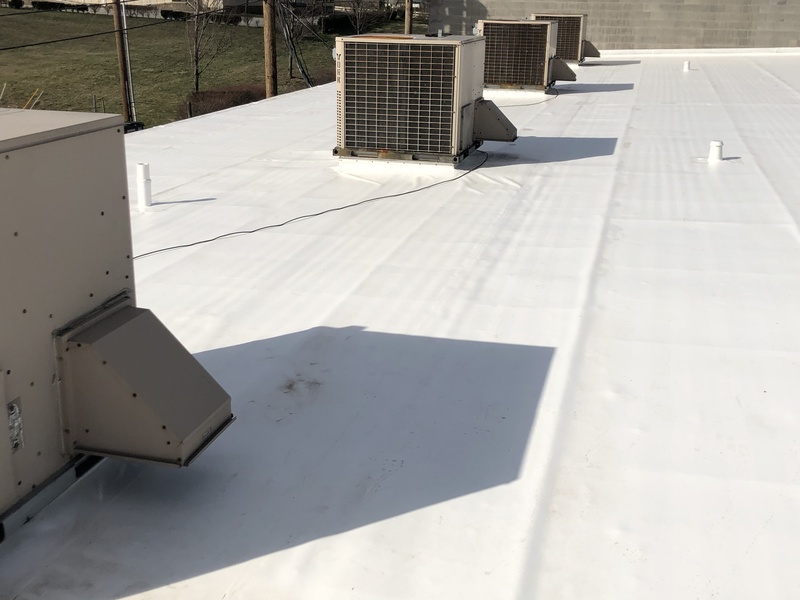 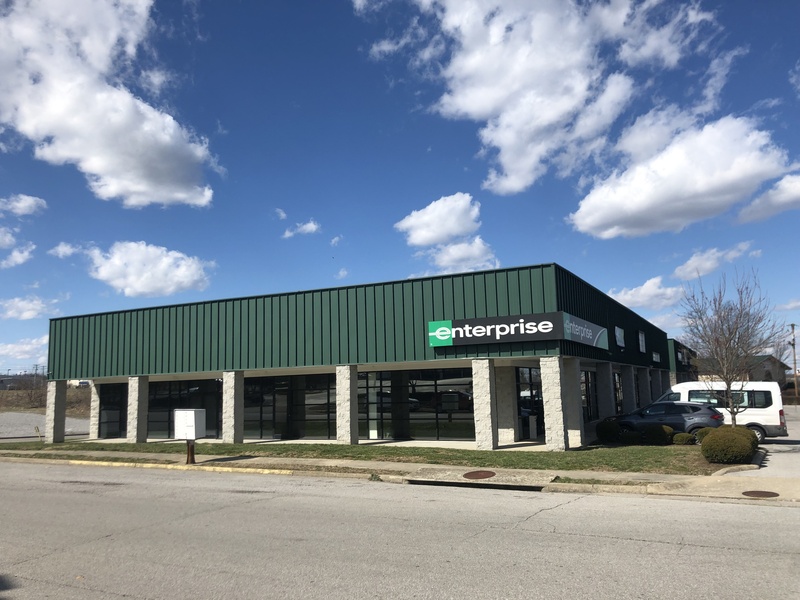 Description of Work: A full metal roof recover/repair was requested for the commercial building housing the Enterprise company in Lexington, KY! 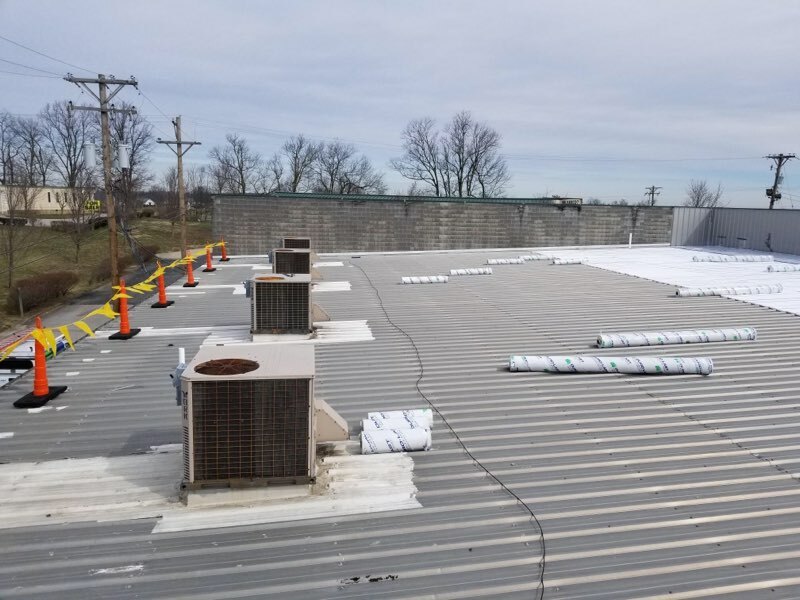 To level out the ridged metal roof, new roofing installation was first installed. 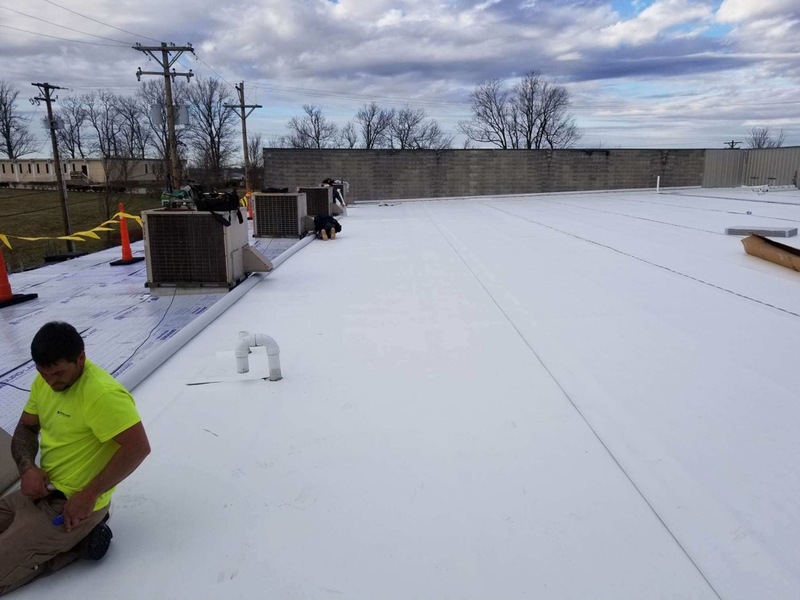 After filling the roof in, the team began rolling out the PVC roofing membrane; maneuvering around various roof vents and units. 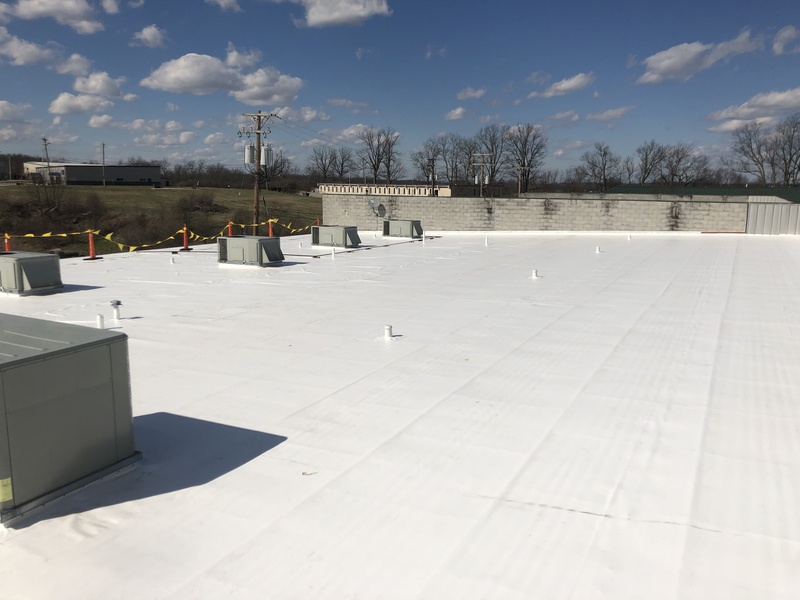 Then to wrap up the project, they soldered and sealed the membrane around the roof edges and vents!